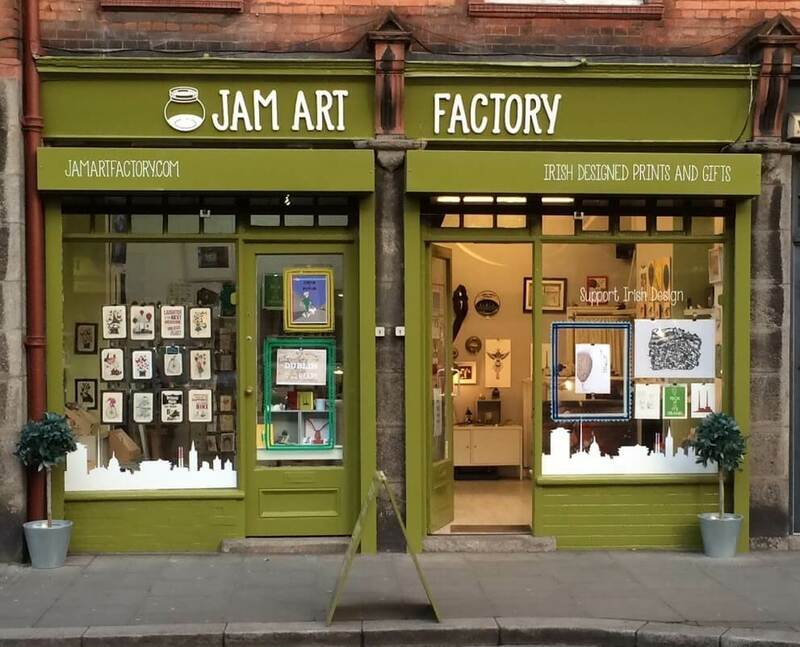 Rooted in a desire to showcase the abundant and talented artists emerging in Ireland today, Jam Art Factory first opened it’s doors on Patrick Street, in the heart of Dublin’s historic Liberties in 2011. Since then, this independent gallery and design shop has been showcasing smart, contemporary Irish art to a growing band of avid fans.Handpicked artists fill the gallery with fresh concepts in print, using both traditional and contemporary techniques. Jam Art Factory stock ceramics, textiles, jewellery and street art in strange and wonderful forms, always working with the artists to create exciting new designs. 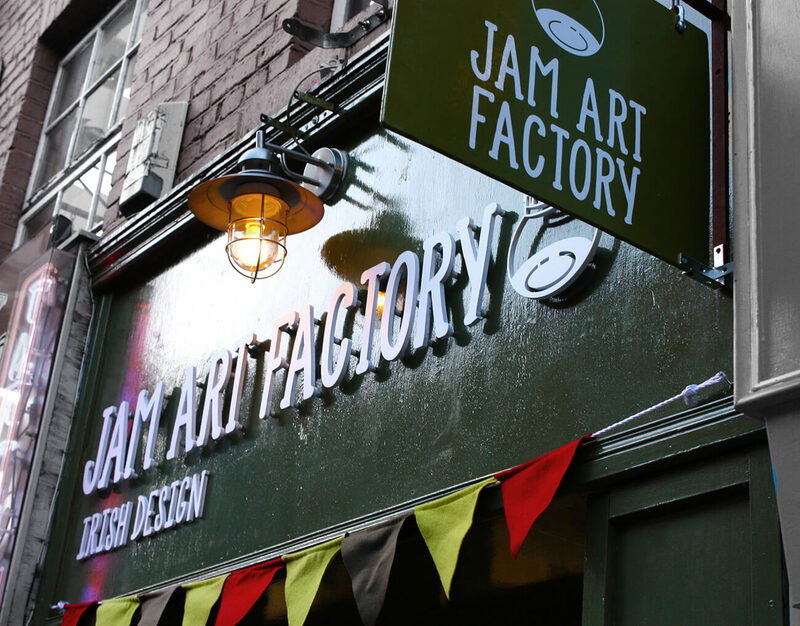 In 2013, brothers Mark and John opened a second location in the lively surrounds of Crown Alley in Temple Bar, and today, Jam Art Factory ships prints all over the world, providing a platform for independent artists to exhibit their work and solving all your home and gift dilemmas! They have two websites www.jamartfactory.com for pretty much everything we have and jamartprints.com solely for prints.